You’ve probably seen the Avengers: Infinity War poster a thousand times, which makes this update, which pays tribute to its sequel, all the more refreshing. Digital artist ‘ultraraw26’ realistically spins the artwork into a teaser that reveals the confirmed characters for Avengers: Endgame, which were revealed in the film’s official trailers. Here, the faces of those who disintegrated into dust in Infinity War have been replaced with new heroes who will join the fight against ‘Thanos’. These include ‘Captain Marvel’ (played by Brie Larson), ‘Ant-Man’ (Paul Rudd), and ‘Valkyrie’ (Tessa Thompson). 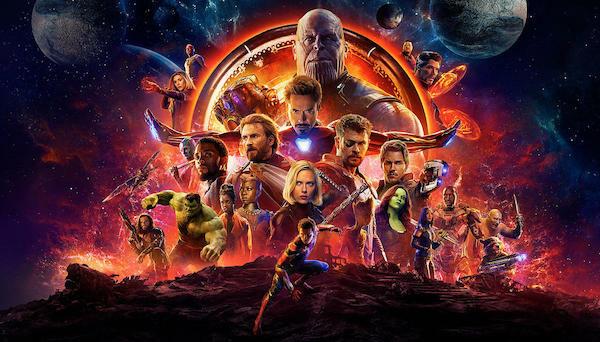 Those who survived Infinity War retain their positions in the artwork. The concept is a little saddening, but it proves that even with the devastating conclusion brought by ‘Thanos’, more will come forward to uphold justice.